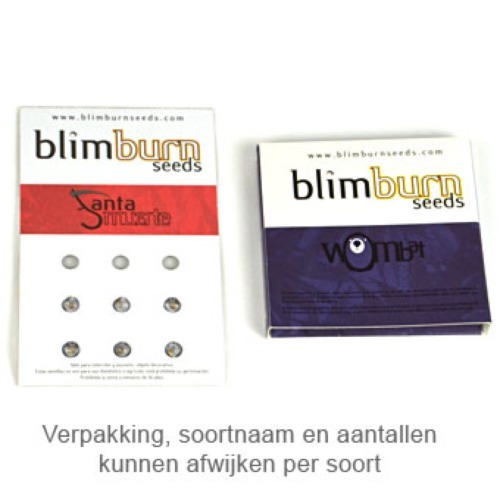 Dama Blanca from Blimburn Seeds are feminised cannabis seeds that are originated by crossing White Widow x White Widow. These cannabis plants contain mainly Indica genetics. Blimburn Dama Blanca cannabis seeds are appropriate for an indoor and outdoor grow. She has a short flowering time and produces nevertheless a good yield. She has enormous buds with an pineapple aroma. The effect of smoking this strain is a spirit enriching and an attractive high, which let your body relax. Growing cannabis with these feminised cannabis seeds is highly recommended, this strain is also suitable for a SOG setup grow. Tell us and our customers what you think of the Dama Blanca from Blimburn Seeds.